Feminized hemp seeds of the breed Purple Spain produce the sprouts that boast of impressive sizes, and if, while breeding, you pay little attention to the plants, their sizes can be giant. The strain, according to its genetic origin, belongs to the purple range of strains, the look of which do fascinate everybody. Purple Spain plants don’t respond well to the lack of free space, thus, while breeding the hybrid, do take much care for space for the growing. The crop is hassle-free, not prone to the mould and insect attacks, but for the growers who live in areas with a temperate climate, it is essential to provide the plant with sufficient UV radiation. 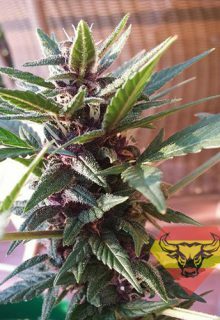 Purple Spain was bred on the basis of the magnificent Thai sativa combined with Skunk strain, thus presenting the improved and refined variation of the abovementioned hemp strains. For the smoker to enjoy the aroma of the feminized hemp seed of the breed Purple Spain and its massive sativa effect, the plants´ structure has come a long way and has been profoundly refined. 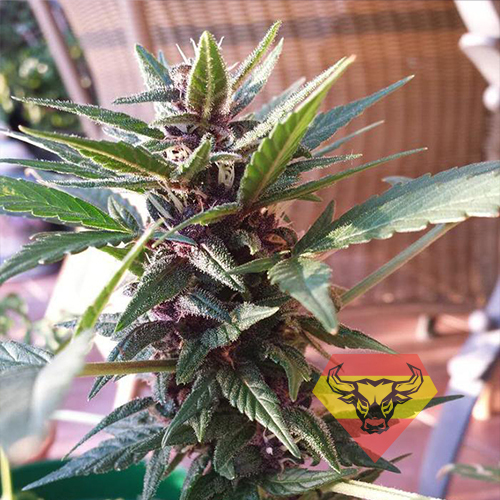 Purple Spain produces a classical sativa impact. Having taken the strains of such a superb kind of plant, be ready to be swept away by the wave of powerful energy, which will improve the brain functions, lifting your spirits at the highest levels of euphoria. During the flowering phase, you will experience the unique aroma of licorice, but right after the drying process, you will also be delighted: the buds will smell of the ripe grape with a slight notion of spices. The healing potential of Purple Spain provides the opportunity to use it in treating of various psychological disorders. The plant is considered a perfect remedy for treatment of depression, nervous breakdown and post-traumatic stress disorders. Also it is recommended to use the strain for treatment of retrograde amnesia, bipolar disorders and autism. Even though you are a first-time grower, you can safely choose the feminized hemp seeds of the breed Purple Spain for breeding, as this hemp strain is one of the most hassle-free kind of plants – while growing the crop, you, probably, will never face any problems. The hybrid is indifferent to any external conditions, but low temperatures can bring it down. Having paid a little more attention to the Purple Spain plants, you will get an excellent yield of the highest quality of stuff.